The birch family contains 6 genera and about 100 species that occur mostly throughout the cooler northern climates. Most are shrubs. In the U.P. there are several shrub-sized species. They all have simple leaves with saw-toothed margins. 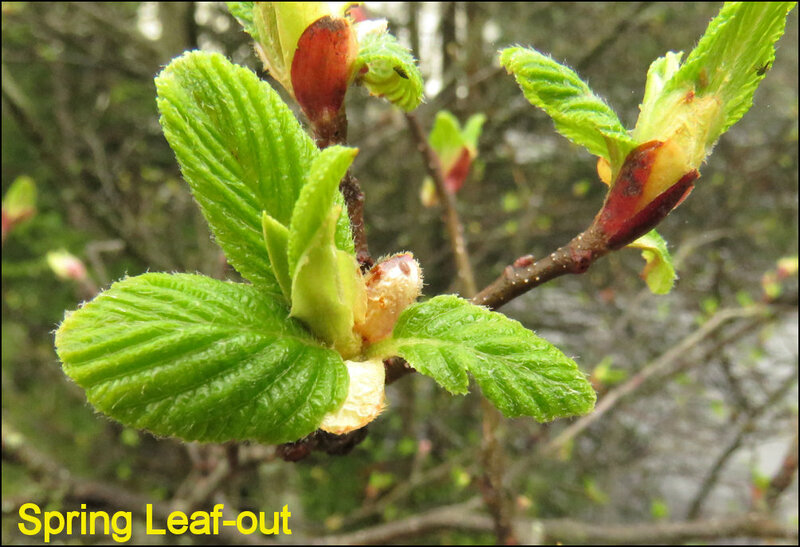 Three common shrubs are tag alder, American hazel, beaked hazel. 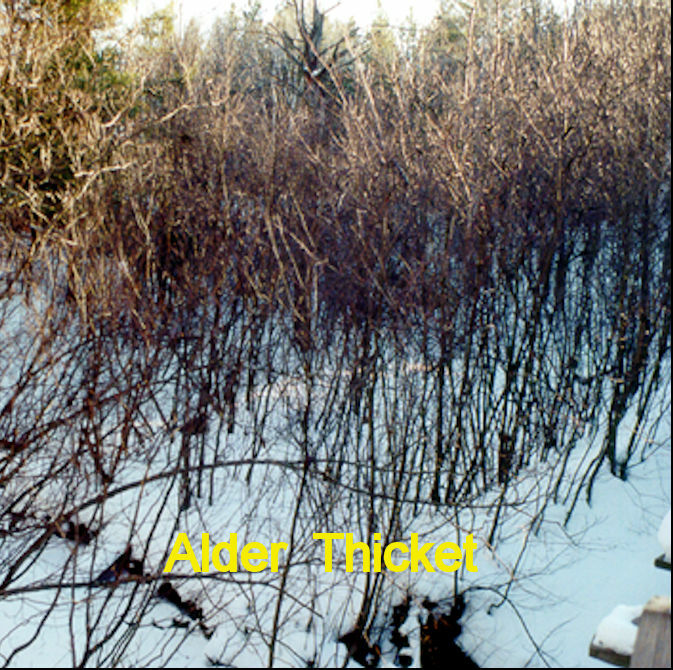 Tag alder is, arguably, the most common shrub in the U.P. growing in richer swamp settings. The purplish STEMS with large, white, warty speckles, or lenticles, are familiar to most people. The 3-4 inch LEAVES are single-toothed with heart-shaped leaf bases. 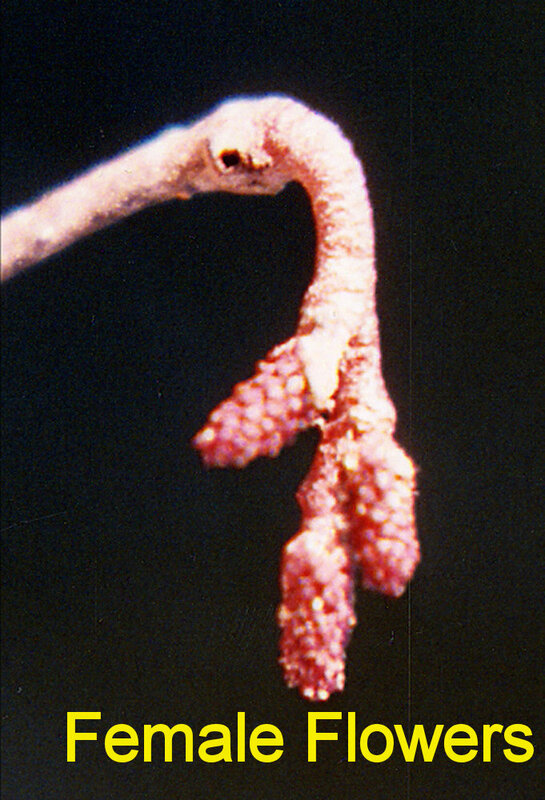 Terminal BUDS are leaf-like and D-shaped. 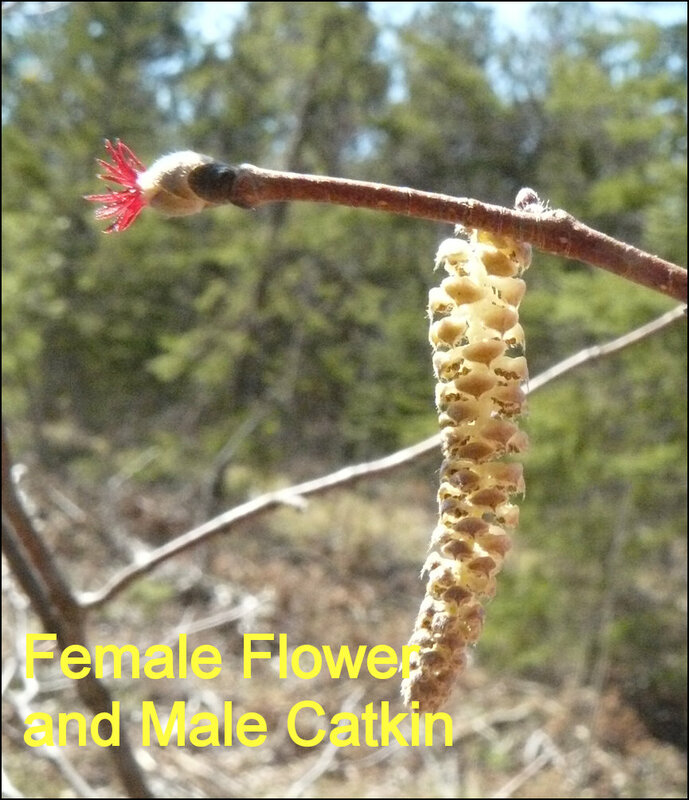 The MALE catkins are about 1.5 inches long. 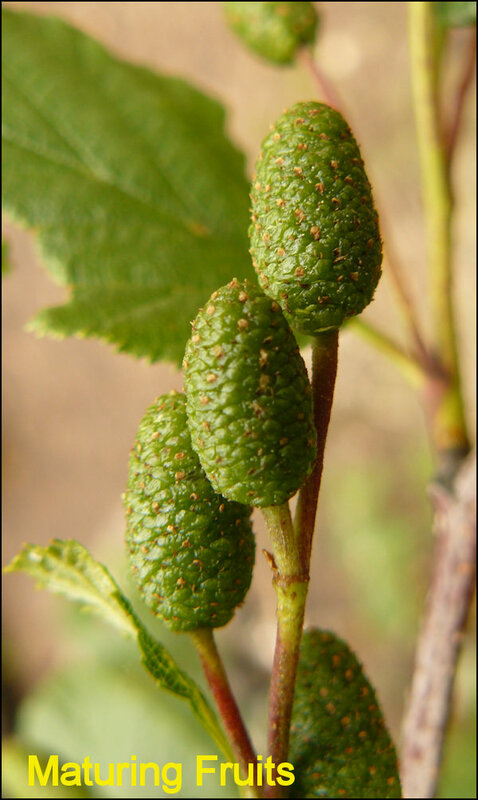 The FEMALE CONES are woody and about a half-inch long. 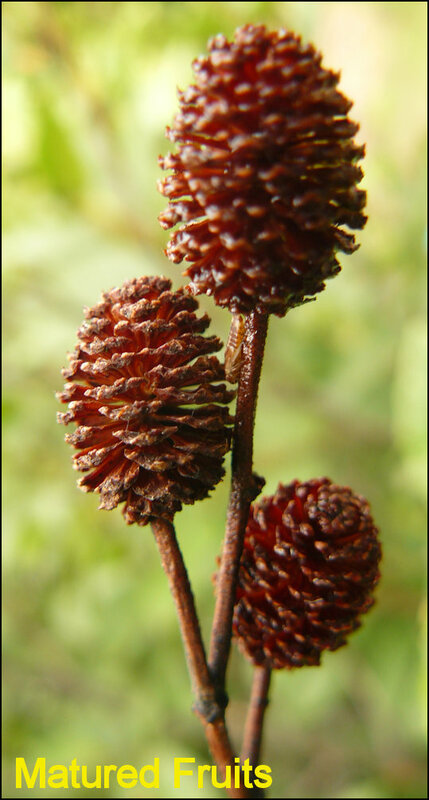 The CONES often stay on the twigs throughout the winter. TWIGS are dark brown to purplish and shiny. 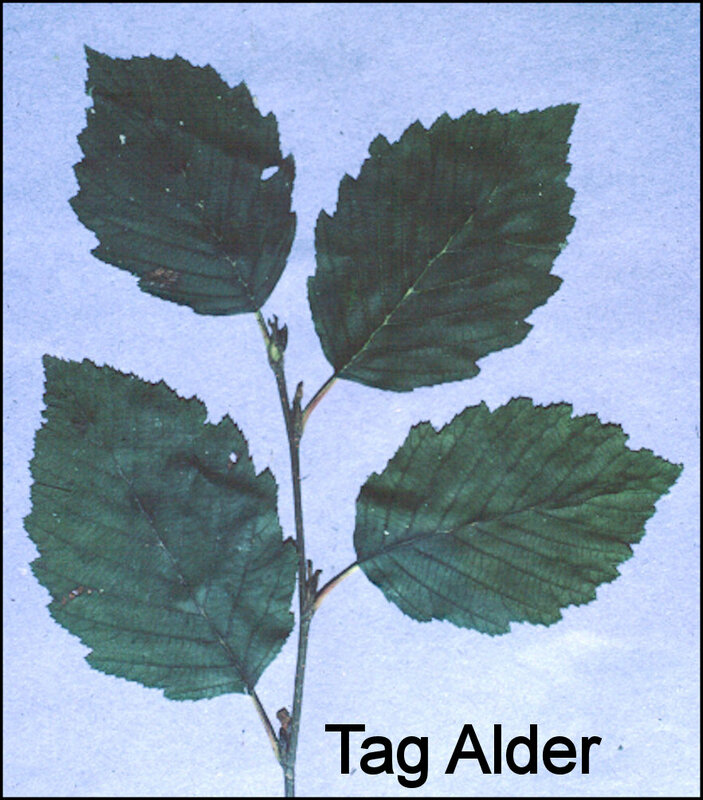 Green alder is similar to tag alder, but it much less common, occurring mostly near Lake Superior. 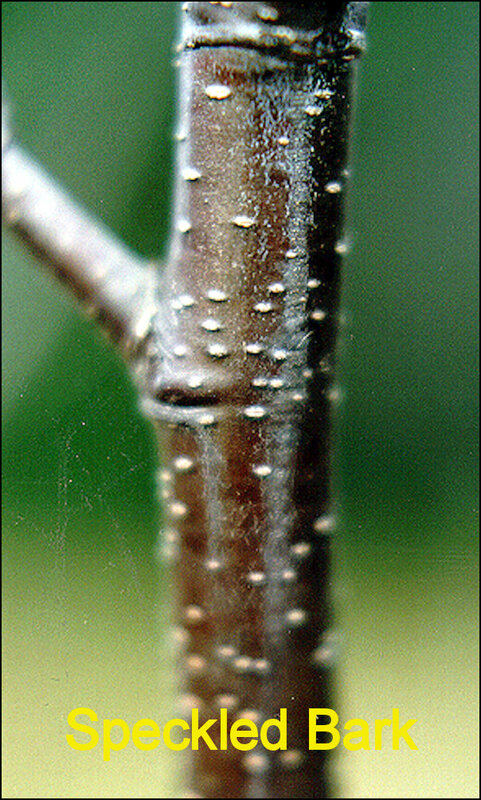 The stems are less speckled than tag alder. Leaves, fruits, and flowers have subtle differences. 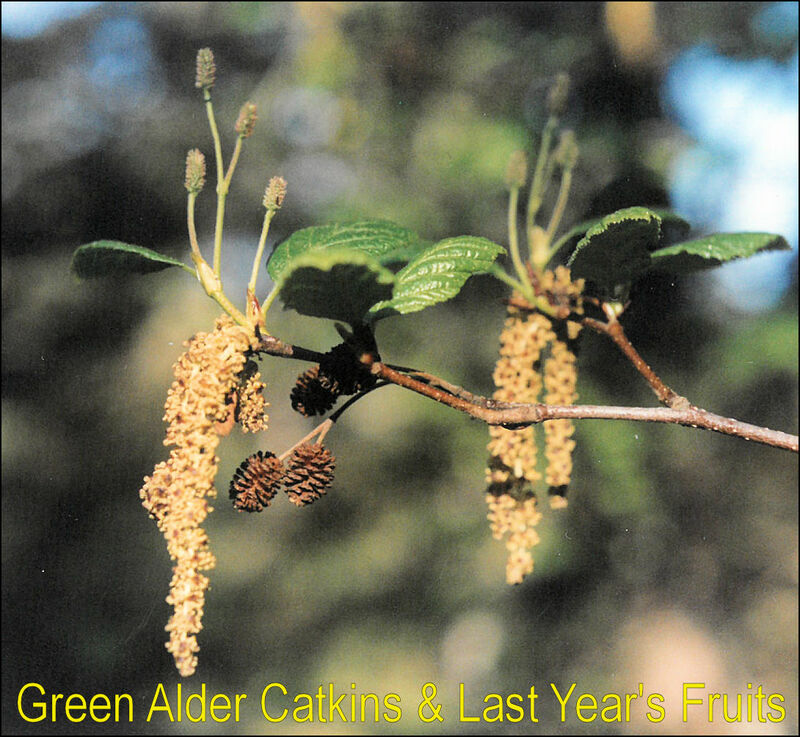 The two species are very similar, distinguishable by close inspection of the TWIGS or when the FRUITS appear. 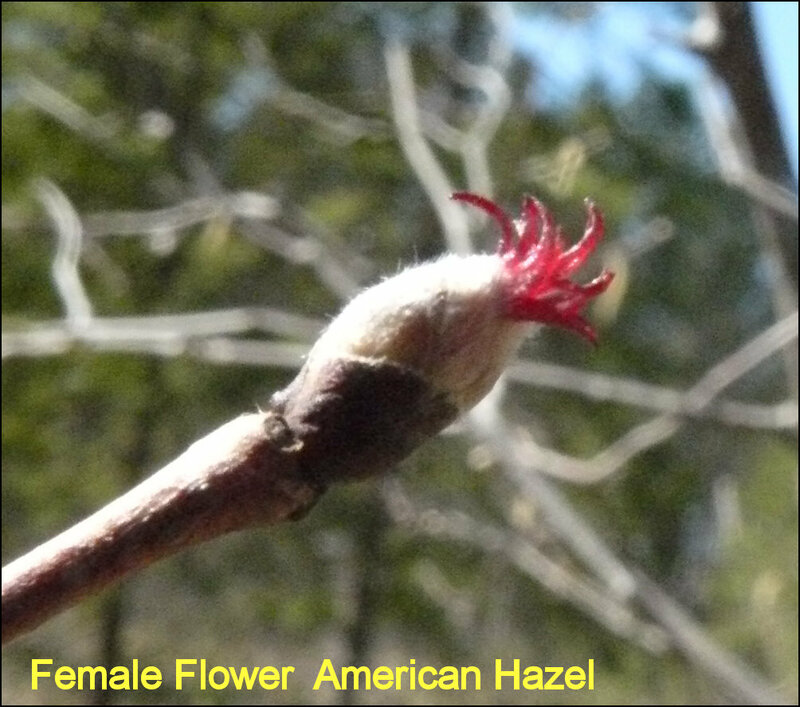 Hazel brush can grow to 15 feet tall, but usually is 4-6 feet in height. 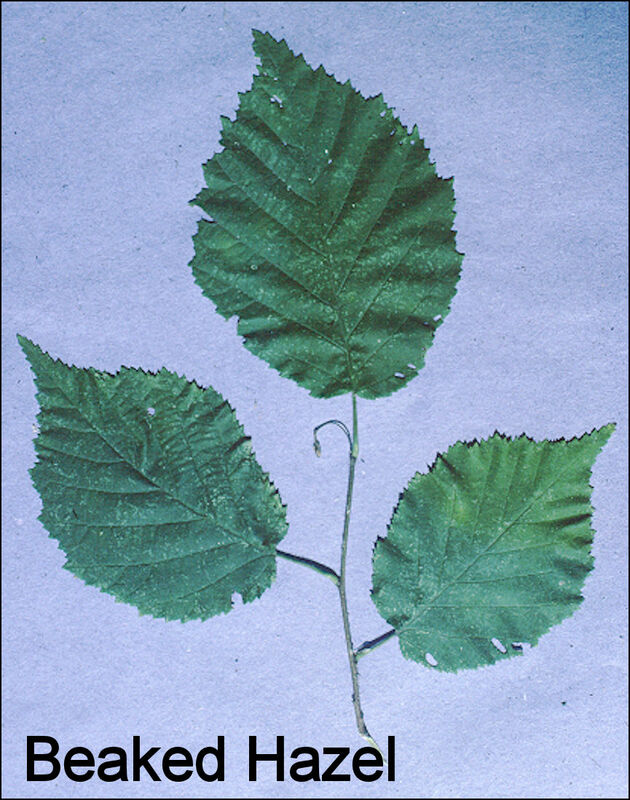 The 2-5 inch LEAVES are double-toothed with somewhat heart-shaped leaf bases. The STEMS and TWIGS are usually a light brown. 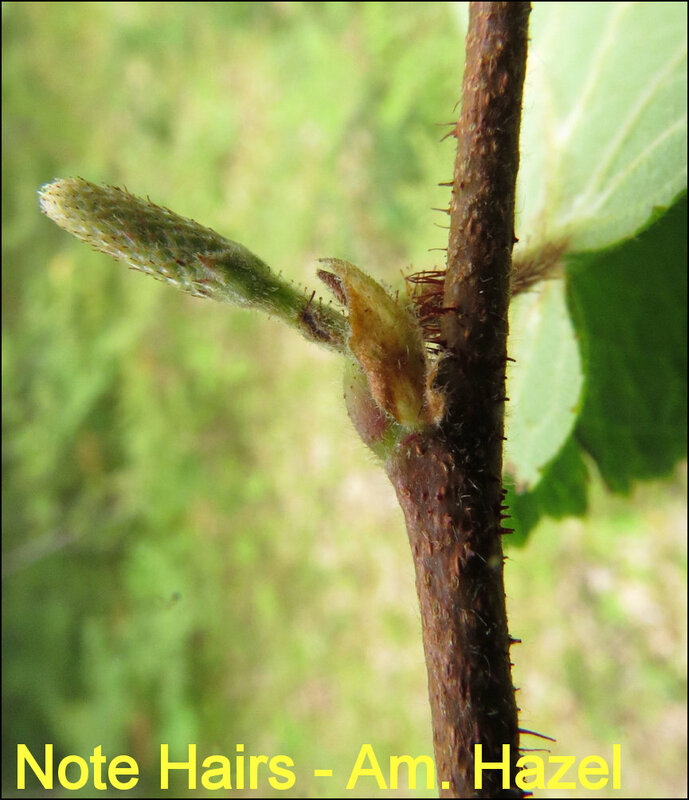 TWIGS and leaf stems of American hazel have stiff, short, fine hairs. Beaked hazel does not. 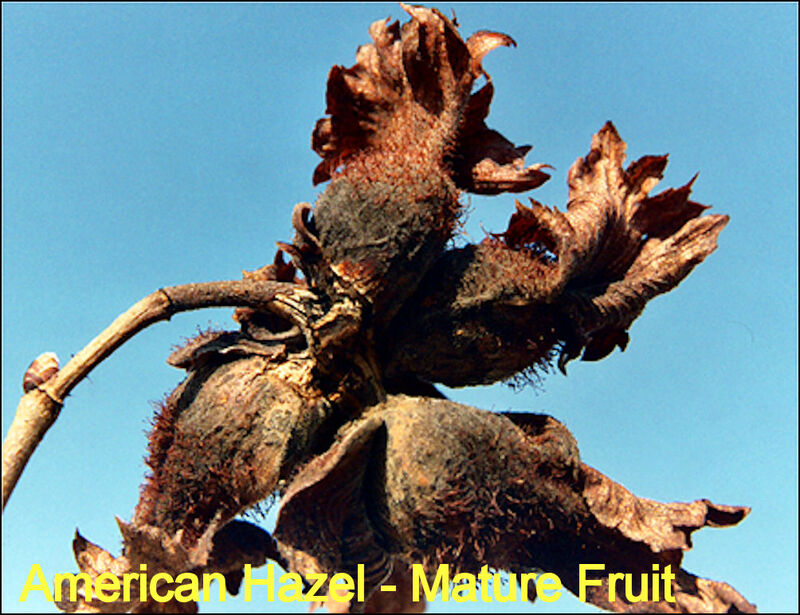 NUTS, or filberts, of American hazel are sheathed in fuzzy husks. The whole fruit is roundish. 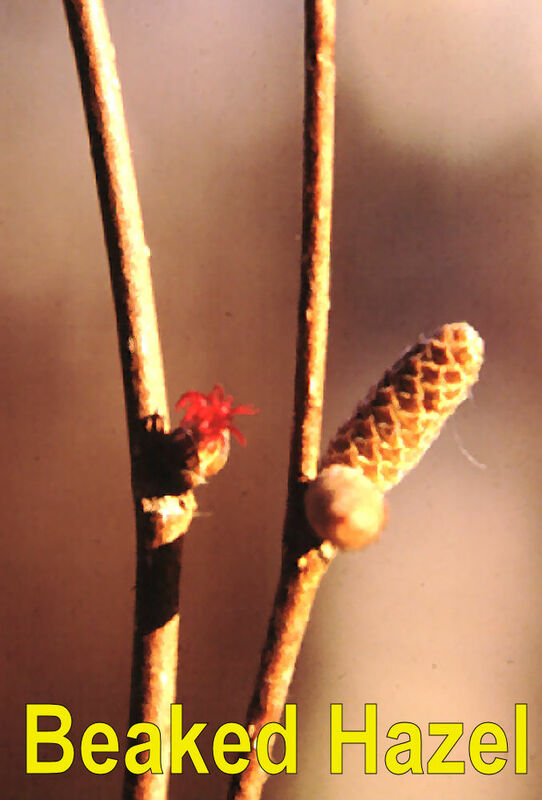 Beaked hazel houses the NUTS in bristly husks with a tube-like "beak" about 1.5-2 inches long. The bristles will irritate your skin. Click on the blue to return the Deciduous Summer Key or the Deciduous Winter Key.